I really like the English (must be because of all the Top Gear I watch). They’re so orderly and proper. Of course that’s a generalization but that’s what I think. Anyway, Apple has been selling the iPhone3G in the United Kingdom for quite some time now and those sales are nothing special, they’re OK. Like the US and the rest of the countries where the iPhone3G is sold, there are TV ads marketing the device. And the selling point of the iPhone3G versus the first iPhone is simply speed. The British however, wants the ad to specify how much really. 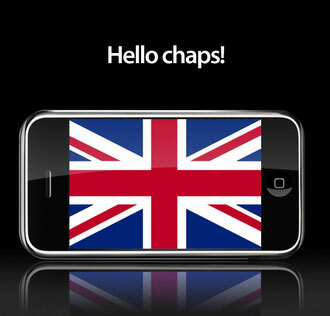 The latest iPhone3G TV ad in the UK stated, "So what’s so great about 3G? It’s what helps you get the news, really fast. Find your way, really fast. And download pretty much anything, really fast. The new iPhone 3G. The Internet, you guessed it, really fast." Unfortunately, this again caught the eye of the British ad watchdog Advertising Standards Authority (ASA). They say that Apple’s claims are untrue, misleading and dishonest. Even the ad’s waiver at the bottom saying, "network performance will vary by location" was not enough for the ASA to excuse the ad. The ASA said in its ruling, "Although we acknowledged that the majority of viewers would be familiar with mobile telephones, we considered that many might not be fully aware of the technical differences between the different types of technology. We also noted the ad did not give an explicit indication of a comparison with the older 2G iPhone." The TV ad was banned to be shown in its present format.